Satellite broadband connectivity nowadays is heavily used by organizations, companies and people operating in remote areas where there are no terrestrial communication means, or where it is compromised due to natural disasters, political problems or wars. This niche of the satellite communications market, as well as the voice and data requirements of militaries and public safety sectors, have changed dramatically over the past few years. Rapid technology development and the need of more and more bandwidth, has inspired providers all over the world to create satellite solutions that are ready to meet all needs, regardless of location and conditions; solutions that are highly mobile, reliable, easy to carry, to deploy and use. What affected these industry changes and what the future could bring to this market were commented on by top managers and experts from two global satellite market leaders, Gwenael Loheac, Chief Operating Officer at IEC Telecom Group, and Scott Scheimreif, Executive Vice President of Government Programs at Iridium Communications. Companies, organizations or individuals need extra bandwidth because they want to connect in the field as easily as they are able to do at the office or at home, mentioned Gwenael Loheac. Even in remote areas, such as in the middle of the ocean, individuals use more and more social networks and apps with their personal devices and want to have reliable access to TV channels, movies, or sports events anywhere in the world. When discussing humanitarian missions and public safety, connectivity is about well-being as well as efficiently reacting to save people’s lives. Regarding this, Scott Scheimreif anticipates that there will be an increased desire among clients for small-form-factor antennas, with agile and robust broadband connectivity capabilities that can support fast-paced mobile communications in any kind of environment, regardless of location. However, providing the military and humanitarian sector with basic communications needs, such as effective voice calls and data transfers, is not enough today — Loheac and Scheimreif both agree. 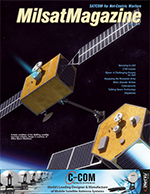 Contemporary satellite connectivity can play a crucial role in taking communications infrastructure to the next level with internet-like functionality and streaming capabilities. Satellite technologies enable staff members based in remote locations to offer the crucial services that are usual for civil areas, such as e-health, e-learning, and centralized logistics. In addition, satellite communication can enhance operational efficiencies by enabling efficient data exchange, online reporting and monitoring. Providers actively cooperate with each other as well as with governments to make sure that connectivity is provided when and where it is needed. In this field, IEC Telecom and Iridium have a long history of a successful partnerships. Iridium’s network is comprised of 66 LEO interconnected polar orbiting satellites that cover the entire globe and is the largest commercial constellation in operation today, according to Scheimreif. Due to the constellations unique architecture, it is the only network that delivers complete global coverage, including the Polar regions, making it the ideal network for customers in need of mobile and global connectivity. Thanks to cooperation between providers, these advantages can be experienced by a greater number of customers all over the world. Mr. Loheac from IEC Telecom noted that Iridium was used by IEC Telecom’s humanitarian customers in September of 2017 in the Caribbean during the Hurricanes Harvey and Irma. He further noted that, in case of emergency, first responders can take their flight to the areas under distress with a mobile satellite modem in their suitcase or a mini VSAT system in one or two flight cases that can be loaded onto the aircraft with the additional luggage. On the other hand, global satellite solution providers such as IEC Telecom specialize in dealing with issues such as control of the airtime usage, sharing heavy data online, and so on. IEC Telecom’s solutions enable clients to monitor consumption, apply customized filtering, interconnect remote sites with headquarters or enables compression of up to 99 percent of an image attached to an email without quality loss and even with advantages, according to Loheac. The company’s sales team, skilled project managers and engineers join forces to offer the most technically adapted solution that could combine high bandwidth advantages and mobility at the best price. Another section of this triangle is the collaboration that is possible with the government, international organizations and regional distributors. 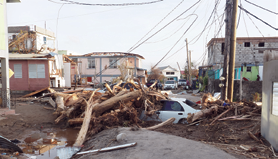 For instance, Iridium works with the U.S. Department of Defense (DoD) and, during Hurricane Maria, Scheimreif revealed that Iridium’s Push-to-Talk (PTT) service (also known as the Distributed Tactical Communication System [DTCS]) was used to support critical group communications across multiple relief organizations, helping to coordinate resources and life-saving rescues. 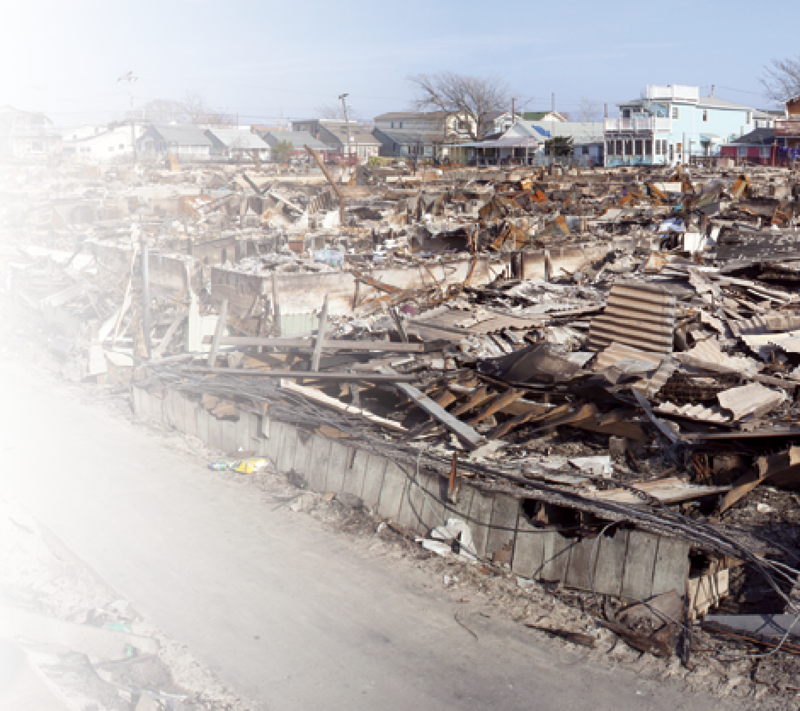 Iridium PTT is an ideal solution for emergency response efforts, as proven during Hurricane Maria. The service helps streamline the entire communications process through organized, group communications with a simple handheld satellite terminal. For instance, during Hurricane Maria, Iridium PTT allowed individuals across multiple groups to collaborate on solving many of the crises that were simultaneously hitting the region. During that historic 2017 hurricane season, a significant increase in activity over the Iridium network was recorded. In fact, during Hurricane Maria alone, the network experienced a 3,900 percent increase in usage in Puerto Rico, Mr. Scheimreif said. With Iridium’s Certus, Iridium’s next-generation satellite broadband solution enabled by Iridium NEXT, government and humanitarian customers of IEC Telecom and Iridium will gain even more connection capabilities. Both of these top-managers concur that this service will deliver new capabilities to the industry. Iridium Certus will deliver mission-critical satellite broadband connectivity to support secure Communications-on-the-Move (COTM) for the warfighter. The service can withstand the harsh conditions that are brought on by inclement weather. 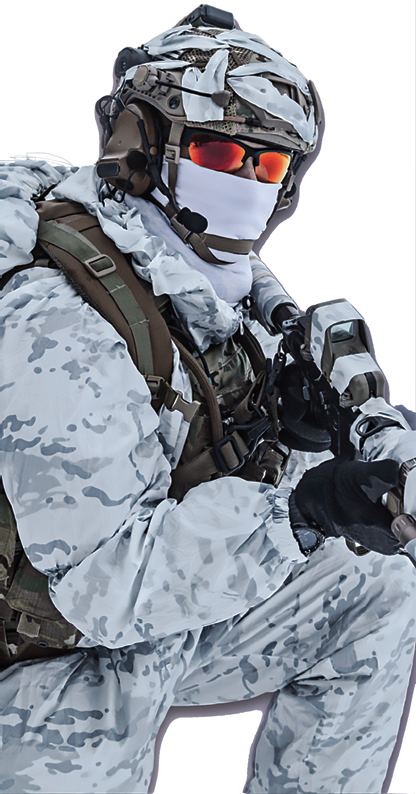 Certus is robust and durable enough to support mobile communications in high-risk combat zones, connecting end-users when they need it most, explained Scott Scheimreif. Through this service, United States government’s users will be able to securely connect remote assets, mobile platforms, as well as dismounted soldiers, anywhere in the world, including polar regions, he continued. Whether it’s a member of the military operating in a remote combat zone, or an emergency responder tending to a hurricane victim, Iridium’s network will be there. Moreover, the coverage is highly reliable, due to the unique architecture of the network and its close proximity to the Earth in LEO, and Iridium’s unique L-band spectrum is resilient to poor weather conditions. With Iridium Certus , IEC Telecom will be able to deliver enhanced capabilities that meet military and public safety needs. These capabilities include, but are not limited to, real-time usage statistics, telematics data, voice calling, personnel tracking applications, and real-time environmental assessments, added IEC Telecom’s Mr. Loheac. The Iridium Certus service will offer dramatic improvements to current L-band services offered by other satellite companies. The service terminals are smaller and capable of maintaining broadband connectivity in fast-paced, unpredictable environments on land, at sea, a in the air. Additionally, Gwenael Loheac continued, Iridium Certus will eventually deliver the highest L-band broadband speeds on the market, eventually reaching speeds of approximately 1.4 Mbps. With commercial availability scheduled for later in 2018, the service will debut at speeds of 352 Kbps with terminals upgradable to 704 Kbps through a future firmware update, making the service a cost-effective, high-quality, well-rounded and competitive option for all verticals in the satellite space. As IEC Telecom Europe’s Managing Director predicted, more and more bandwidth will be offered to customers, and equipment will become more and more lightweight and easy to use in the future. New projects by Google, Facebook, SpaceX and Thales should bring in the coming years a technology revolution based on low orbit minisatellites or drones, he suggested. These new networks should be able to reach 50 Mbit/s with a very low latency and airtime prices should strongly decrease. Even now satellite phones and modems, Loheac said, are becoming more advanced every year — some are already close to matching smartphone capabilities and offer to remote locations the same level of connectivity as GSM or 4G devices. Loheac’s colleague from Iridium, Scott Scheimreif, agreed and believes that in the near and long-term, there will be an increase in the availability of smaller terminals with a lower cost-per bit due to more High Throughput Satellites (HTS) in operation. Outside of the Ka-/Ku-bands of the spectrum, Iridium’s new L-band broadband solution, Iridium Certus, will address the needs of this industry for reliable mission-critical communications, that can withstand inclement weatherinduced problems like rain fade. The advantages of the Iridium network’s LEO architecture, enabling small-form-factor antennas and terminals, make Iridium Certus an ideal solution for customers operating “on-the-move”, offering a robust communications platform that works anywhere in world. Editor’s note: The graphics used in this feature interview are courtesy of IEC Telecom and Iridium.